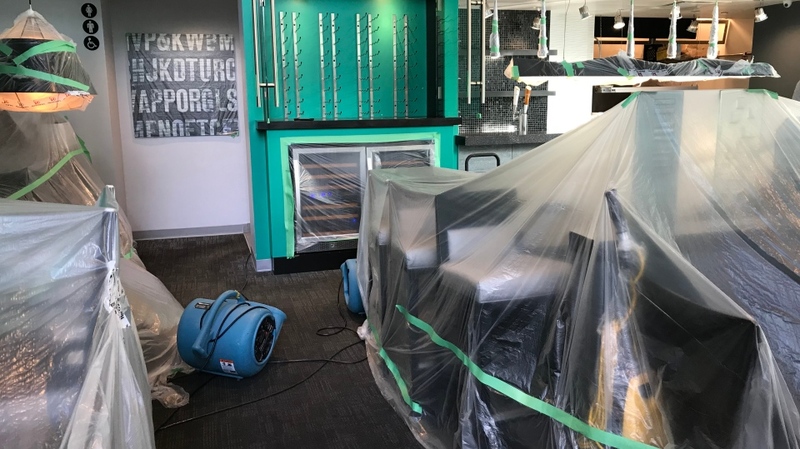 A Regina restaurant is closed indefinitely after it was flooded by a burst pipe. Steve Kosabek, the owner of 20 Ten City Eatery, says maintenance workers at Hill Tower 3 in Regina’s downtown told him his restaurant was flooding with water on the morning of Feb. 4. The flood was the result of a water main break, the cause of which is still unknown according to Kosabek. When he was told he’d have to close his business, he says his first thought was his employees who would be going weeks without work, but he says his insurance will help with that. “They need to get paid, so the fact that they are going to be getting paid, hopefully means that none of them are going to be quitting or going elsewhere,” Kosabek said. The restaurant donated the food in the fridge to Souls Harbour, since it wouldn’t last until reopening. Since 20 Ten is on the ground floor of Hill Tower 3, it suffered the most damage in the entire building. The unexpected closure comes at an extremely inopportune time for Kosabek, with both Restaurant Week and Valentine’s Day happening in February. But Kosabek says he’s confident his customers will return when the doors open again. The restaurant is expected to remain closed until at least the end of February. Although Kosabek’s goal is getting the doors open as soon as possible, it’s still not known when that will be.